Triphala is widely used in a large number of medicinal preparations. It helps reduce excess weight. 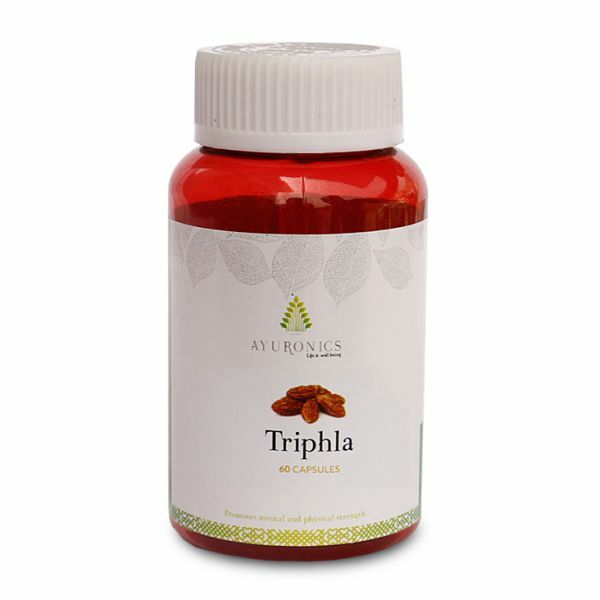 Triphala Capsule is able to care for the internal organs of the body as a mother cares for her children. Each of the three herbal fruits of Triphala takes care of the body by gently promoting internal cleansing of all conditions of stagnation and excess while at the same time improving digestion and assimilation. Triphala is widely used in a large number of medicinal preparations. Triphala is an effective blood purifier that stimulates bile secretion as it detoxifies the liver, helps digestion and assimilation, and promotes normal serum cholesterol and lipid levels throughout body. It is also a laxative that rejuvenates the membrane lining of the digestive tract and contributes to effective cleansing of the colon, a key condition in Ayurveda to maintaining optimum health. When consumed for a long period, it helps reduce excess weight. 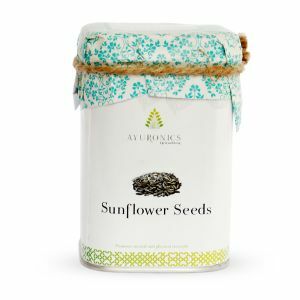 It promotes good colon health and acts as a laxative without causing cramps or irritation. It gently stimulates the intestinal walls and restores tone to the colon, thus helping in the elimination process, providing a colon cleansing effect. It also helps maintain good eyesight. It has shown in-vitro anti-oxidant activity. Triphala fruits are not edible fruits like grapes or mangoes. They are really bitter and astringent fruits with tannins. How to take triphala depends upon what function you want it for. You can take it as a powder. There is an Ayurvedic logic to it. You have to taste the herbs on your tongue to see the benefit. When you take it in a capsule from sometimes you don’t experience the taste. You can also open a capsule and place the powder on your tongue before swallowing it. Triphala is most often recommended in powder form, to be taken with hot water. If one has taste issues, tablets and capsules are available. The powder however is more effective.